The high false alarm rate and the difficulty of modeling are the main problems in the field of cooling tower system fault detection which is an important energy consumption optimization method in heating, ventilation, and air-conditioning (HVAC) system. This paper proposes an effective solution that is used to reduce the false alarm rate and built a gray box model which simplified from the physical principle of a cooling tower. The Kalman filter is used to forecast the running state of the cooling tower system, and the dynamic control limit set by the statistical process control (SPC) is used to reduce the false alarm rate. Through the final experimental results in the Sino-German building, located in the northeastern part of China, it can be seen that the control limit can be effectively adjusted according to the fluctuation of the natural environment, and the false alarm rate can be well controlled. The authors would like to thank the referees for their constructive comments and suggestions. 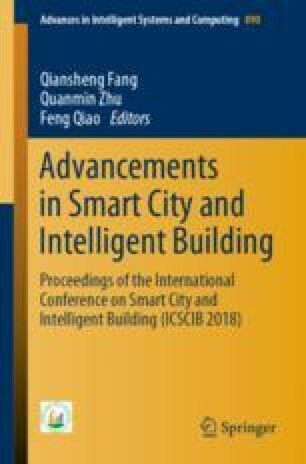 The authors also gratefully acknowledge the contributions of Prof. Tianyou Chai of Northeastern University, Shenyang, China. The research is financially sponsored by the National Natural Science Foundation of China (61873174, 61503259), China Postdoctoral Science Foundation Funded Project (2017M611261), Science and Technology Projects of Ministry of Housing and Urban Rural Development (2018-K1-019), SJZU Postdoctoral Innovation Fund Project (SJZUBSH201705), Chinese Scholarship Council, and Hanyu Plan of Shenyang Jianzhu University.